LASHKAR GAH: The governor of the western Afghan province of Farah resigned on Thursday after months of increased fighting that have fuelled protests by residents fearful that Taliban militants could threaten the provincial capital. However, the NATO-led Resolute Support mission in Kabul, which is providing assistance and training to Afghan forces, said the threats by the Taliban to take over Farah province were “way overblown”. Dr Mohammad Aref Shah Jahan is a Medical Doctor graduated from Nangarhar Medical College and has defended the country during the resistance era. Jahan was referred to the post of the governor by the Independent Directorate of Local Governance (IDLG) and the president approved his appointment, the statement said. 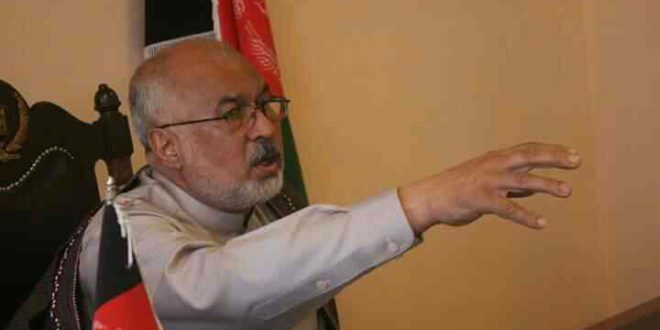 Jahan earlier worked as National Directorate of Security (NDS) director in Ghazni province and remained representative of Ghazni in Wolesi Jirga. He has also served as Director General of Central Audit Office of Afghan National Army.